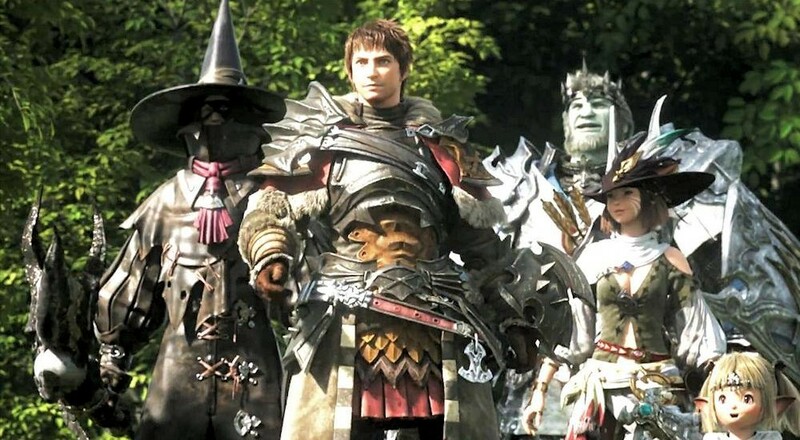 When Final Fantasy XIV first released in 2010, the consensus was that it was a complete flop. After months of patches, the resignation of its original lead designer, and removal of its monthly fee, Square-Enix decided to scrap it completely and start over. The result of their efforts is Final Fantasy XIV: A Realm Reborn - a most fitting title. I didn't play the game in its original incarnation - I got burned out very quickly during my time with Final Fantasy XI and wasn't really looking for another MMO in the same vein. Fortunately, I decided to check the reboot out at this year's E3 and was intrigued enough to want to try it out. Despite some rough login issues surrounding the launch, I've managed to have a pretty great time playing Final Fantasy XIV. One of the best things about A Realm Reborn is its class system. Though you have to choose a class to start with and must level it to a certain point, each character you create can be every single class - once you've introduced yourself to the guild of each class, you can simply switch whatever weapon you're carrying to switch classes at any point, with few exceptions. When doing certain content your party will be limited in the number of times you are able to change class, and you cannot change class mid-combat. The classes are broken up into four categories: Disciples of War (physical damage dealers), Disciples of Magic (magic users), Disciples of the Hand (crafting), and Disciples of the Land (gatherers). That's right, if you want to craft or gather in this game, you have to switch classes. Since I'm a shameless fan of Kain from Final Fantasy IV, I initially chose the Lancer class, a Disciple of War who specializes in spear/lance-based combat. Once you've leveled several of the classes to a certain point, you'll be able to take a more specialized class called a Job - which should perk up the ears of anybody who played the early NES/SNES games in the series, or Final Fantasy Tactics. Different mixtures of classes provide different jobs, but needless to say, you'll be seeing your fair share of Paladins and Dragoons during your play time. 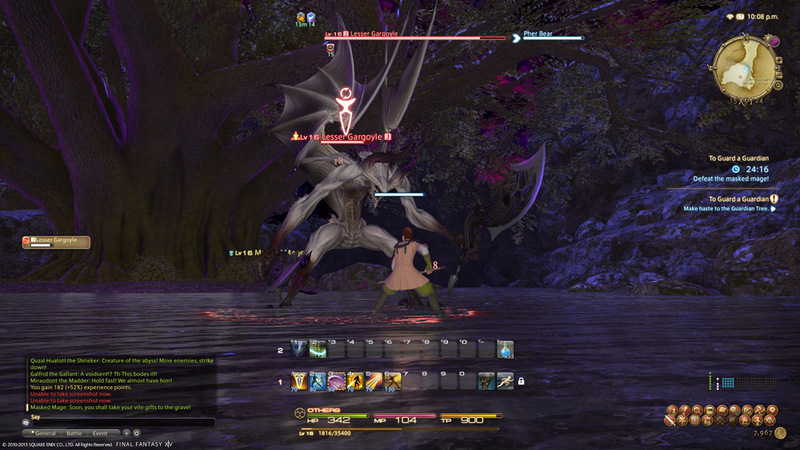 As with its predecessors, A Realm Reborn's quests are story-driven. I had to chuckle that the story centers around a terrible event that happened a number of years ago that nobody seems to be able to remember, which seems awful autobiographical to me. Long-time fans of Final Fantasy should enjoy the plot revolving around magical Crystals, legendary Warriors of Light, and an evil invading Empire. There's an awful lot of fanservice, both blatant and subtle, but it never really gets in the way of the game itself. You'll do your fair share of FedEx quests and killing 10 rats, but the little storylines crafted through each zone are pretty interesting and tie together very well. Larger quest events called Duties are often much more interesting, involving multi-phase boss fights and cutscenes with full voice acting. Thankfully, unlike The Old Republic, the game doesn't try and use voice acting for everything, so new content can be released on a more aggressive schedule. Page created in 0.5473 seconds.